Surrender at 20: 9/23 PBE Update: Ivern login theme, Candy King Ivern tweaks, balance changes, & more! 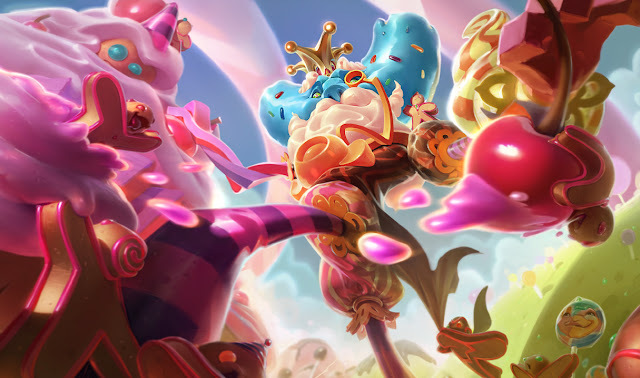 9/23 PBE Update: Ivern login theme, Candy King Ivern tweaks, balance changes, & more! The PBE has been updated! 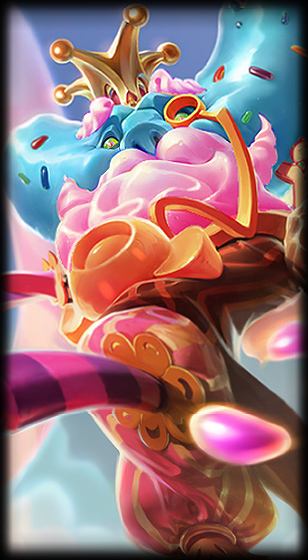 Today's update includes the Ivern login theme, tweaks to Candy King Ivern, Worlds icon emotes & recalls enabled, balance changes, and more! Today's update includes Ivern's login theme and music! 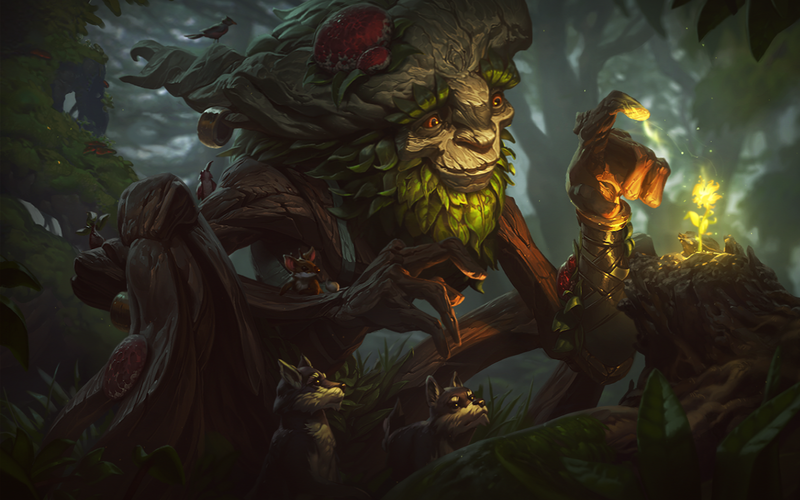 Ivern PBE feedback thread is also now up on the boards. Splash art for Candy King Ivern has been updated, changing his candy beard to pink instead of white. After crafting was enabled yesterday, the Worlds crafting summoner icon emotes (one for each icon tier) and recalls (one for tier 3 icon) should all be working in today's update. Be sure to read [THIS POST] for more details on how the tiered summoner icons & temporary emotes + recalls work. wav3break on Kog'Maw - "Kog's Bio-Arcane Barrage attack animations are also updated on PBE + particle tweaks to his lion dance skin~"
"Empowered heal bonus portion changed to 25% reduction from 50% reduction. "Empowered heal does the base heal (unaffected) + the bonus heal portion (50% >>> 25% to minions)." Max E damage ratio changed: AP up, HP down.